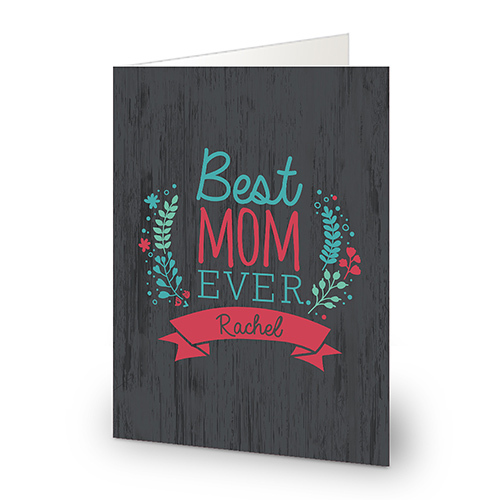 Make this year's Mother's Day Card extra unique and special when you personalize it with your very own words. Custom design this card for mom by choosing a design color that meets her style. Be sure to also include her name under the Best Mom Ever design. 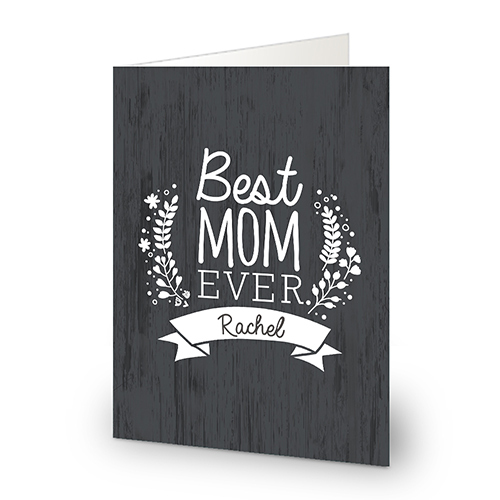 We then custom personalize the inside of the card with your own personal message.